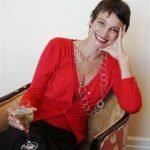 The mere thought of oysters and champagne sets my mind a-fizz. Add a beautiful location and serene country setting, and I’m all in. 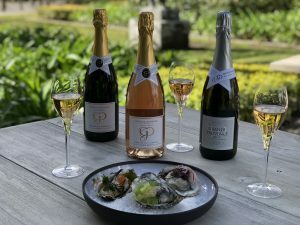 Happy to share news we can all use: not only does Grande Provence have an oyster bar, it is offering the ultimate taste experience of Méthode Cap Classique and fresh West Coast oysters this summer. Served from the oyster bar underneath ancient oaks in the magnificent Sculpture Garden, the MCC & oyster pairing embraces three uniquely dressed oysters to complement the character and personality of each of the Grande Provence Brut MCCs. Grande Provence Brut, a beautifully balanced blend of Chardonnay and Pinot Noir, is paired with an oyster with dill, yuzu/cucumber in a dill infused dressing, yuzu pearls and vermouth compressed cucumber adding the finishing touches. Grande Provence Brut Rosé MCC, bursting with red berry and strawberry flavours, shares the limelight with an oyster with home-made fermented kimchi, toasted sesame seeds and a dash of tom yum mayonnaise. Heady! With hints of baked apples, biscotti, brioche and pears, the flagship Grande Provence Vintage Brut 2011 is a superb taste partner for an oyster dressed with vintage brut velouté (a cream based, bubbly and linefish sauce), Franschhoek trout roe, and dried nori. The oysters are shucked directly from the Grande Provence oyster tank and garnished freshly at the oyster bar. The summer MCC & oyster pairing is available daily between 12h00 and 16h00 at R180, weather dependent. Additional fresh Saldanha Bay oysters are available at R90 for three. The oysters are served with lemon and mignonette sauce (a condiment made with shallots and cracked pepper).